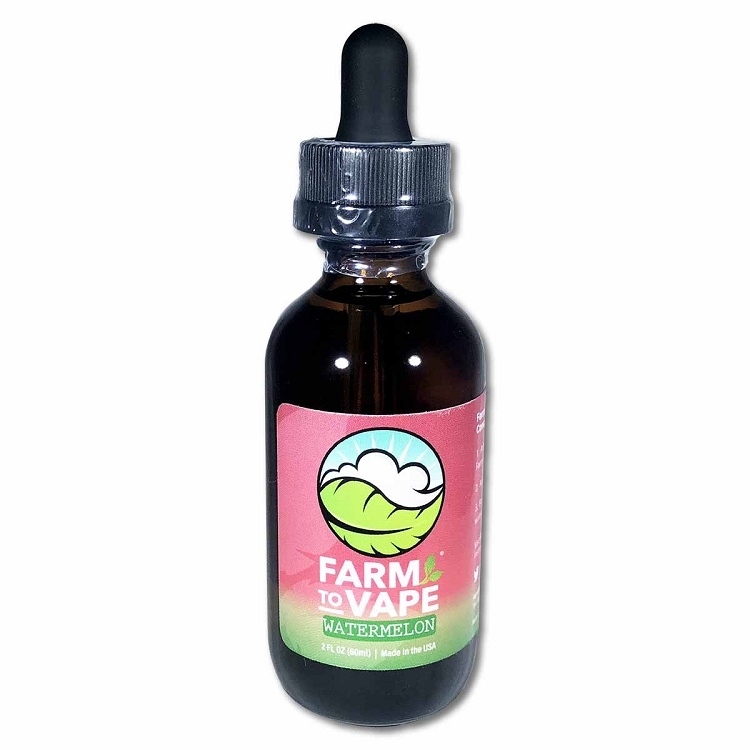 Farm to Vape's Watermelon Thinner is the easiest way to make mix your own juice's using your concentrates and oils. Using only the highest grade PEG300 & PEG400 and natural flavoring we have created the perfect blend to ensure consistency, quality, and a formula that will never separate to give you the longest lasting blend possible. 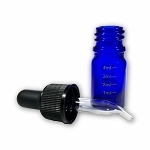 Designed to match the molecular weights of the active ingredients in herbal concentrates. 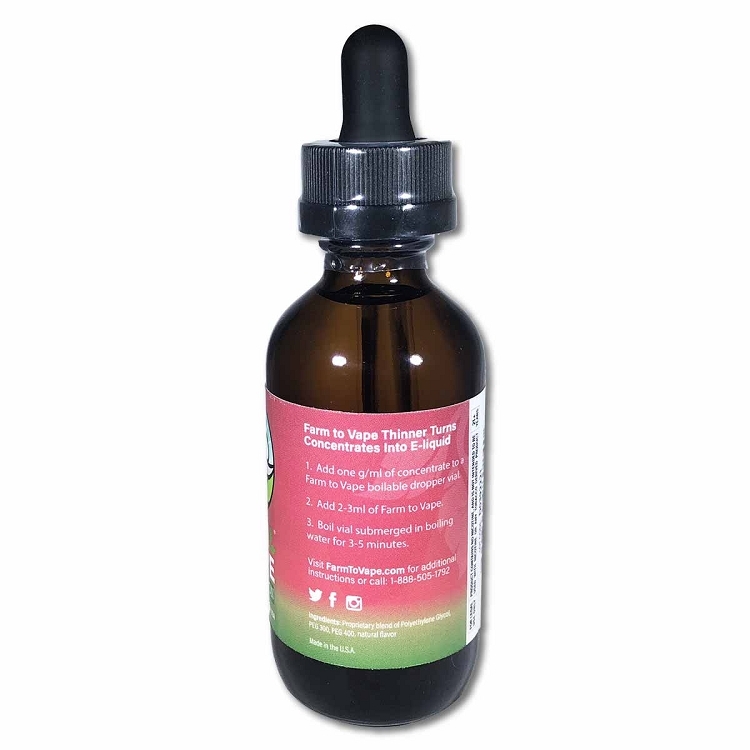 Our natural Watermelon flavor also helps mask the strong taste and odor of concentrates. This is our 60ml size for those who are looking for a larger bottle of our famous Thinner in Watermelon flavor. If you like to make many different strengths at a time, then this 60ml size is for you. Works great when done correctly. The flavor is a little off of watermelon. Tastes grate and chucks clouds! Always makes high quality cartridges! I’m a big fan of them never disappoints!